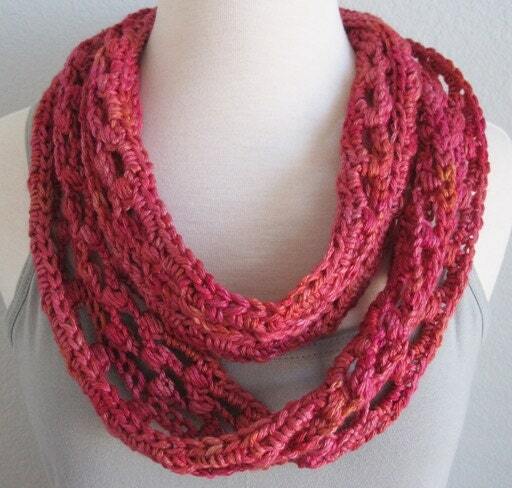 The Ladder Lace Infinity Scarf is a quick crochet project creating a distinctive finished design. Wrapped stitches give the scarf texture and support the width. 200 yards of your favorite worsted weight yarn will make up this 4" wide and 66" around infinity scarf. 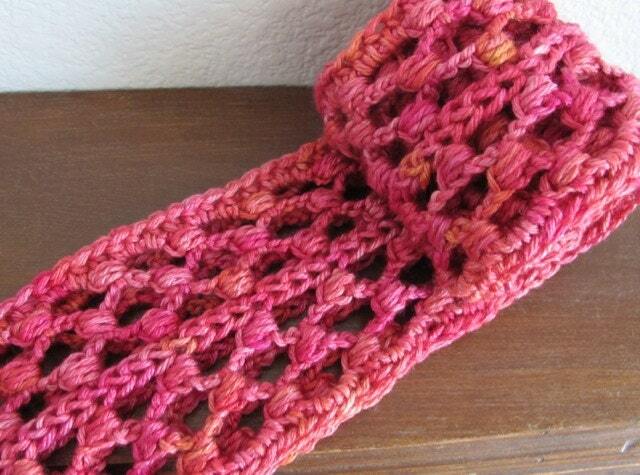 This purchase is for the Ladder Lace Infinity Scarf only. It does not come with the scarf pictured here. This pattern is copyrighted and for your personal use only. The Ladder Lace Infinity Scarf may be made and given as a gift, but the pattern may not be reproduced for use by others. 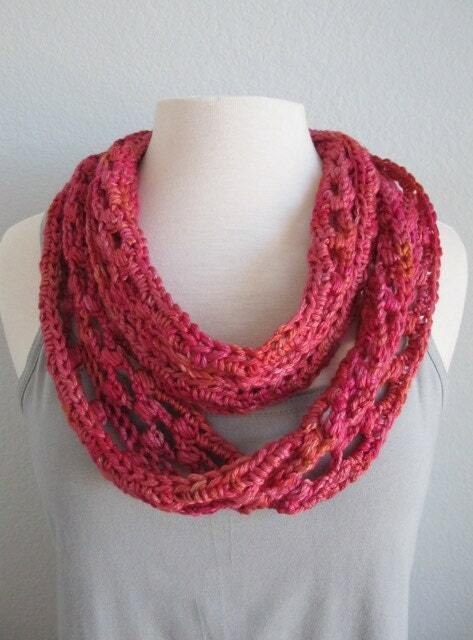 I hope you enjoy making the Ladder Lace Infinity Scarf!